Snap, Fish and Memory - play them all with Rhicreative Card Games For Kids! Snap, Fish and Memory – play them all with Rhicreative Card Games For Kids! Sharpen up your Snap skills and keep kids entertained the old fashioned way – with a pack of cards! Loads of fun awaits with five kids card games packed into one brilliantly illustrated deck, thanks to Rhicreative. Play Memory, Fish, Snap and more with Card Games For Kids from Rhicreative. Each pack includes 40 cards, adorned with 20 beautifully illustrated designs, including shapes, fruits and animals. The cards themselves are perfect for kids, not only are they generously sized for small hands, they’re also laminated to help guard against wear, tear and sticky fingers. 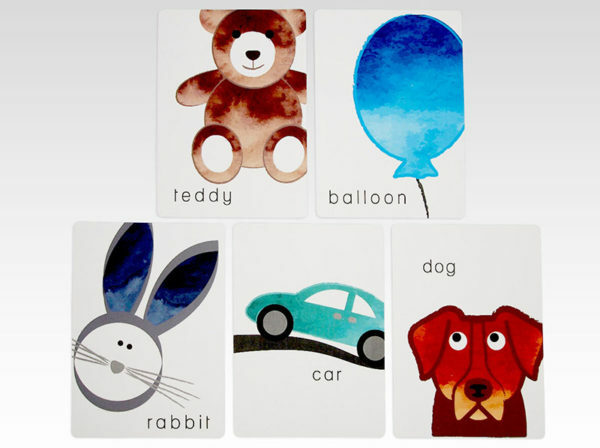 A great birthday gift, Card Games For Kids is priced $22.95 and available direct from Rhicreative.